← Aphids and Ants and Ladybugs, Oh My! It’s hot. 82 with 75% humidity. A good day to stay inside and play. So I got out the toothpicks and the marshmallows I’ve had in the cupboard since Easter…hoping to find a way to use them up so we don’t eat them. 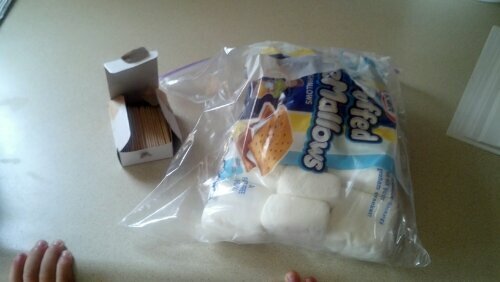 They are extra large marshmallows built for smores so I cut them into different sizes and put them in front of Joe with the toothpicks and let him go to town. 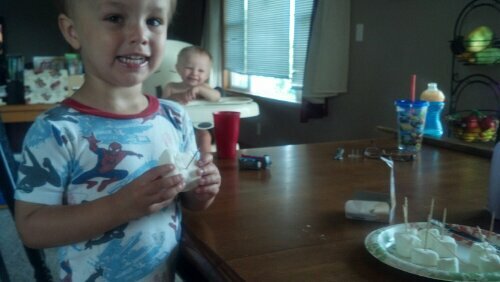 At first he just started eating them. 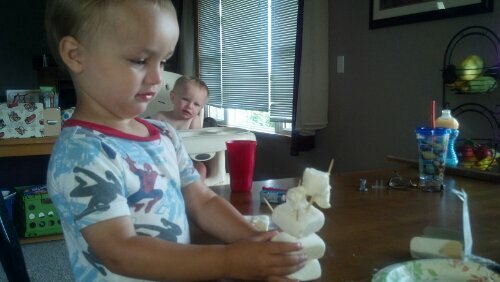 Then I showed him how to build with the toothpicks. 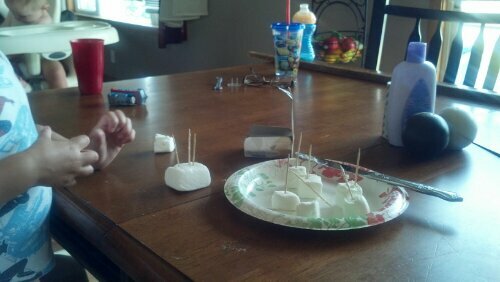 After that he started sticking toothpicks all over the marshmallows and talking a mile a minute about monsters and snakes. 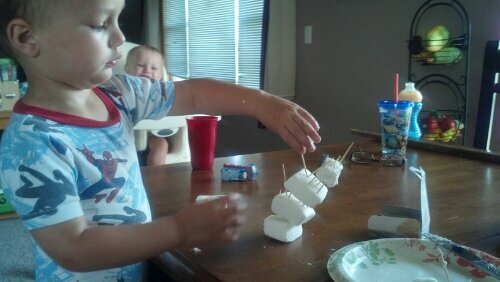 When we were all done, I threw the marshmallows away, satisfied that we had gotten just as much entertainment out of them had we eaten them instead of building monsters and snakes. And…Joe gave his imagination a good workout to boot. This entry was posted in For the Kids. Bookmark the permalink.